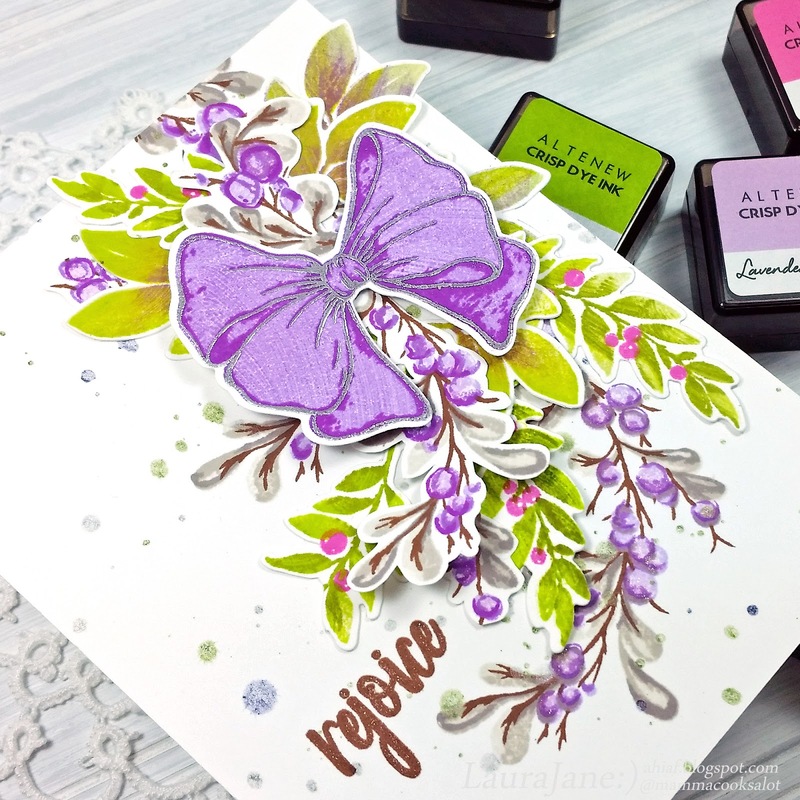 After-Hours Ink & Flowers: Altenew September 2018 Stamp/Die Release Blog Hop + Video! Altenew September 2018 Stamp/Die Release Blog Hop + Video! HELLO Lovelies! 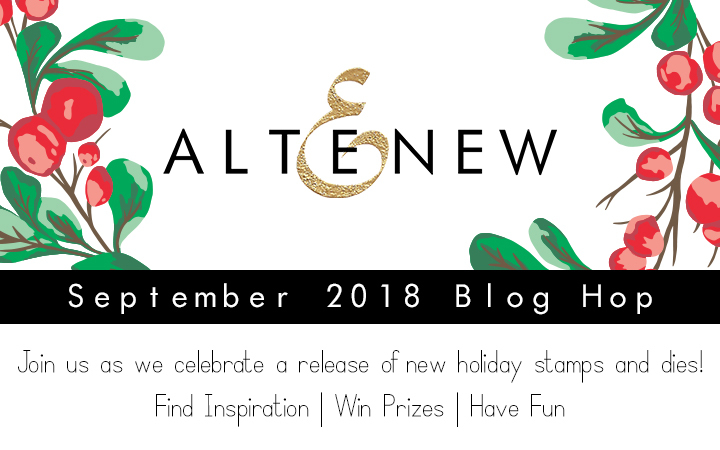 Thanks for joining me here today on the Altenew September 2018 Stamp/Die Release Blog Hop. 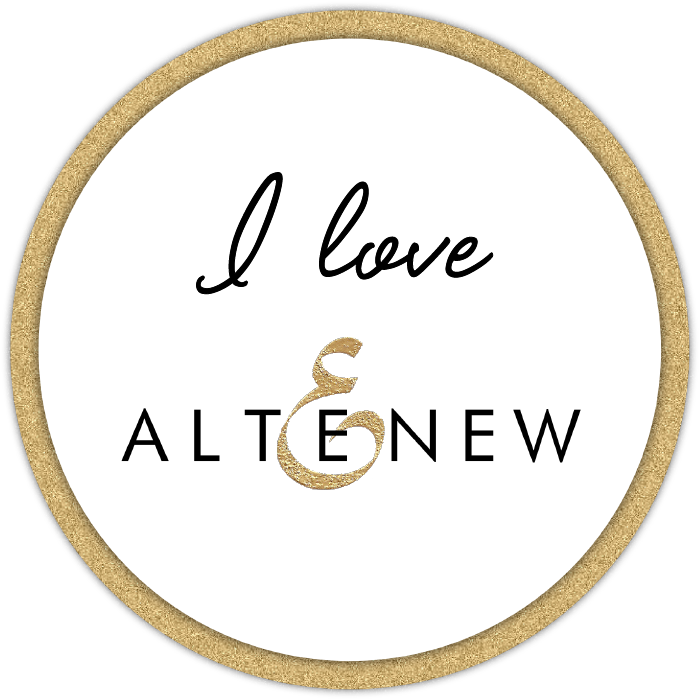 I'm honored to be a guest designer for this Festive release:)) You should be arriving from the Altenew Scrapbook Blog. Check out the full September release goodies here. I have three cards featuring the Festive Poinsettia stamp and coordinating die. The Poinsettia image is large enough to take center stage on a card, making it simple to create quick holiday creations! I played around with the new Watercolor 36 Pan set to loosely color the image after I stamped it with black ink. Then used the coordinating die to cut it out, I like how the die cuts the intricate details near the stem keeping the image airy. I then layered the watercolored Festive Poinsettia on top of pattern paper and Dotted washi tape. JOY is heat embossed with Razzleberry Crisp Embossing Powder. 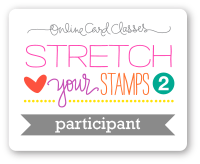 Yes, you can emboss on washi! Trimmed this lovely card front panel with gold glitter tape and called it done! I did some more really loose watercoloring for a 'set back stamping' card. A technique shared by Jennifer McGuire a few weeks back. 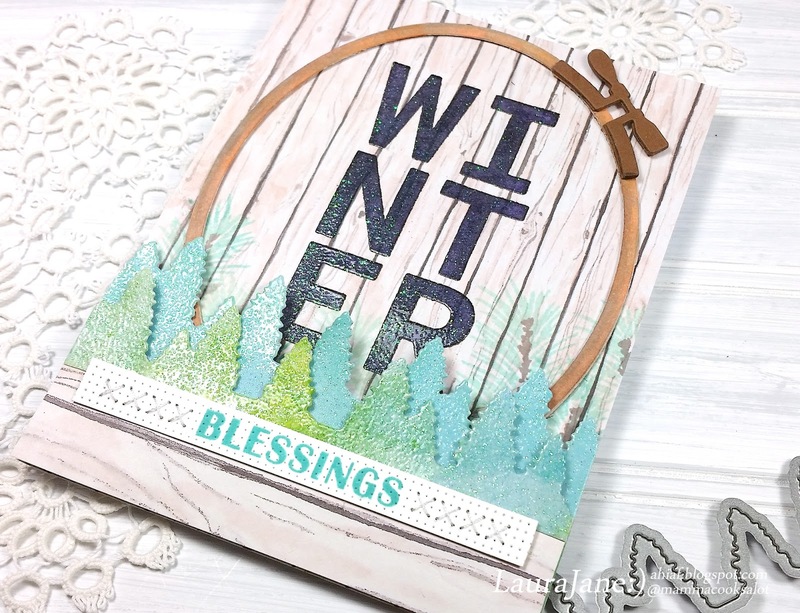 Moving on to the Holiday Bow, Bountiful Branch, and Blessings stamp sets. Bountiful Branch has eight layers to the swag. Holiday Bow has three layers for the bow image and two layers for each of the floral/branch elements to create gorgeous garlands and wreaths. Mini Cube Crisp Inks sets used for all the layers are Tropical Forest, Shades of Purple, and Warm Gray with a kiss of Espresso. Coordinating dies make it easy to build many layers for your festive creations. Lines stencil to draw in the ribbons on each side of the bow. Then cut a mask and stamped Pattern Play Circle with Cotton Candy Crisp Ink. 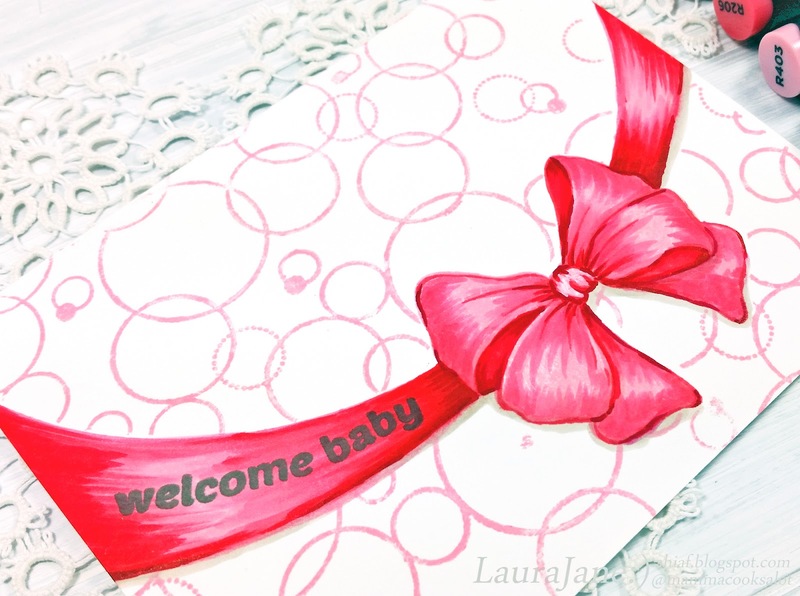 Welcome Baby sentiment is from Baby Balloon stamp set. I used large image from Starry Night to stamp a galaxy swoosh for this next one. Warm Sunshine and Ocean Waves Crisp Inks look so pretty heat embossed with Translucent Pearl Crisp Embossing Powder! You are loved is colored with several of the new 36 Half Pan watercolors: Citrus Burst, Warm Sunshine, Bamboo, Mountain Mist, and Ocean Waves. This card features another technique I learned in the watercolor class at Altenew Academy. This time I used both the stamp and die set from Starry Night. Inked with Sweet Dreams Mini Cube Set. The sentiment is heat embossed with Antique Silver EP. then I spritzed the Starry tree stamp image with water and placed it on the inked tree. Let the stamp set there for a few minutes to dry. 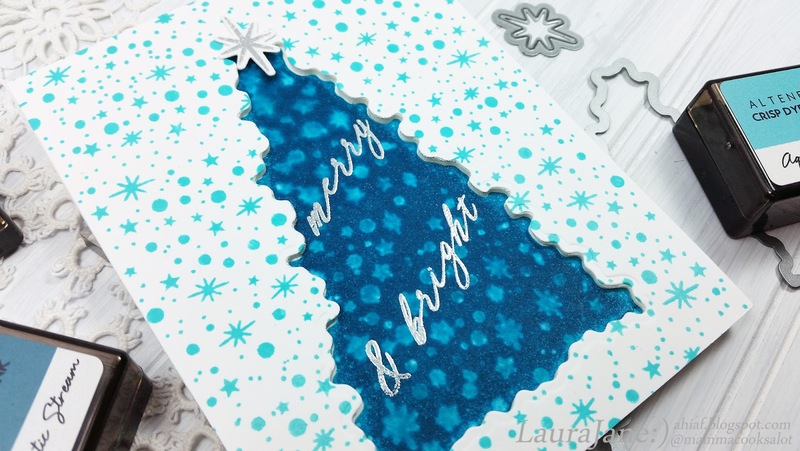 Creative Edges: Evergreen Die adds a tiny forest of glittery trees for my mock hoopart card. The Translucent EP adds that perfect kiss of shimmer to the pattern paper. I did do a little hint of stitching on the sentiment Blessings banner. 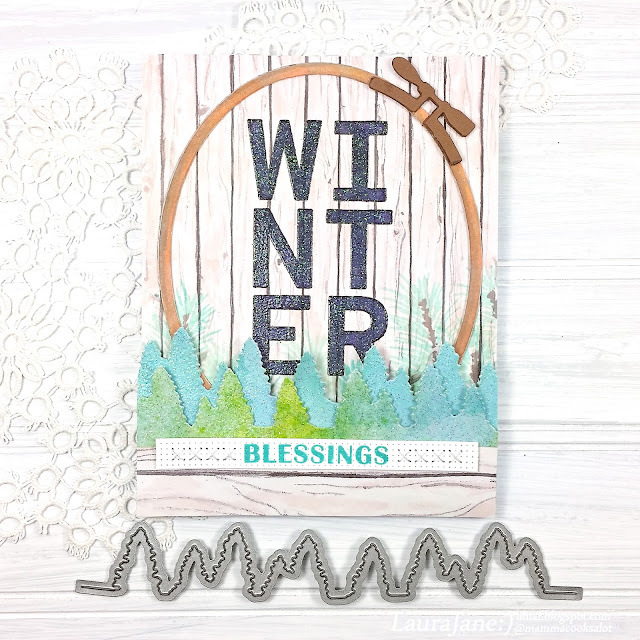 And that big bold WINTER is from For All Seasons stamp set. A few branches from Holiday Bow stamp set are peeking out from behind the Oval Embroidery Hoop die. Your next stop on the hop is Zinia Redo! 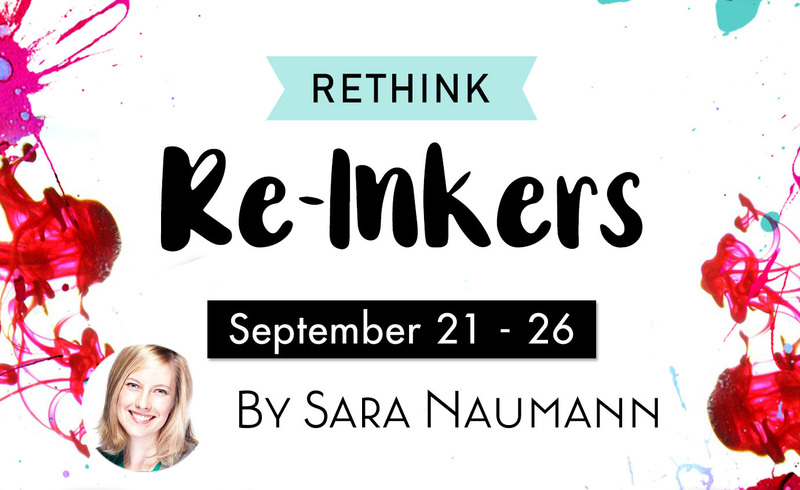 You're definitely going to want see her fresh take on the New September Release goodies! To celebrate this release, Altenew is giving away a $50 gift certificate to six lucky winners! 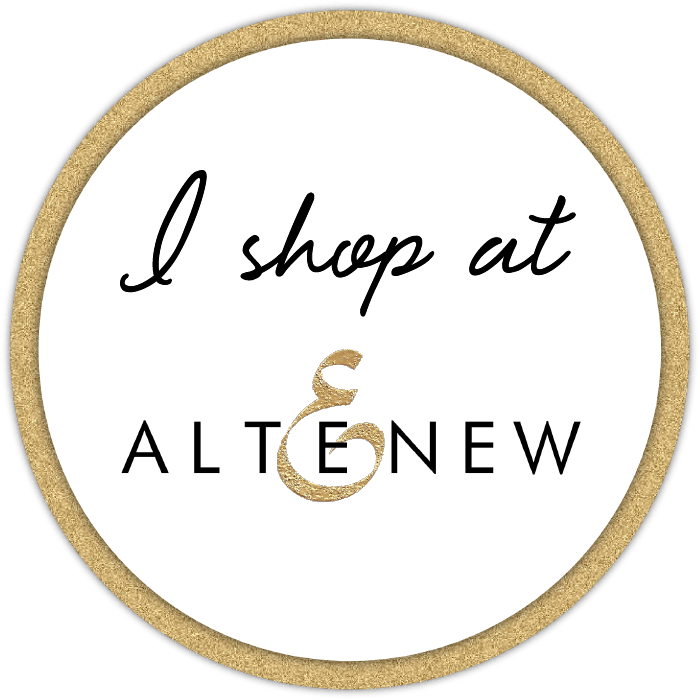 Please leave a comment on the Altenew Card Blog and/or Altenew Scrapbook Blog for a chance to win. Three winners will be announced on the Card Blog, and other three winners will be announced on the Scrapbook Blog on 9/22/2018. 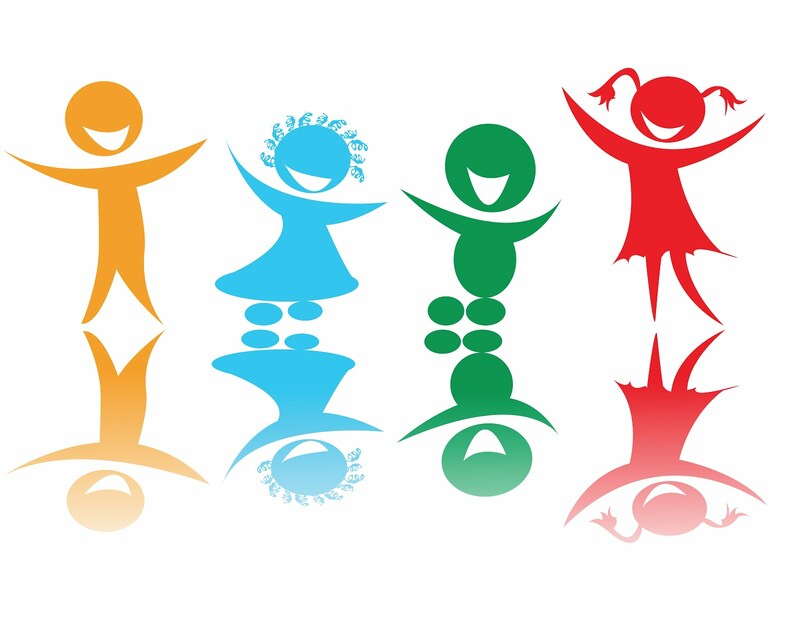 I will draw a winner to receive a $30 gift certificate from comments left right here on this post! 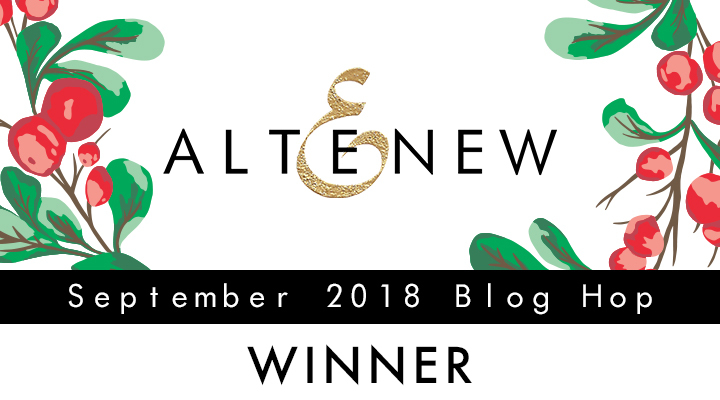 Thank you Altenew for generously sponsoring this giveaway:) I will post the winner right here on this post after 9/19/2018. These cards are so cool! You really showcase the versatility of the stamps and dies. Thanks for a chance to win. Please contact Altenew atwinner@altenew.com by 9/30/2018 with the subject line Altenew September 2018 Stamp/Die Release Blog Hop Winner from LauraJane's Blog. That poinsettia is just knocking my socks off! Great work. 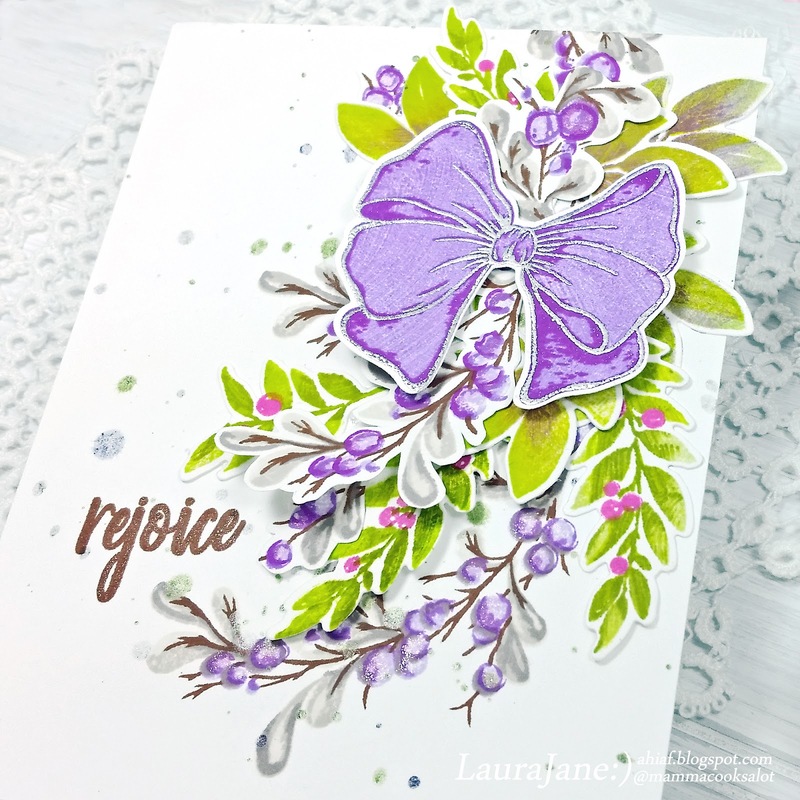 These are all great; I love the watercolored poinsettias, using the holiday bow for a baby card is genius, and I am IN LOVE with your "rejoice" card! I love all these cards so much.. but my favorite is the purple bow card! I love the silver embossing and the tone of green you used goes perfectly with the purple! 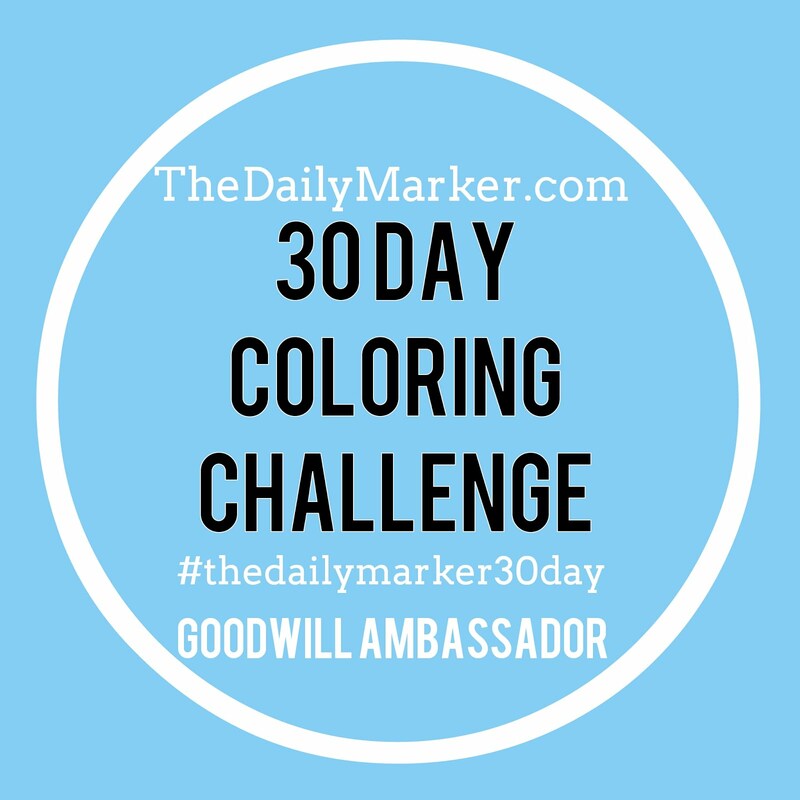 Love your watercolors! So pretty. These are all amazing new products. Lovely cards. I especially loved your Festive Poinsettia cards so I bought that stamp/die set! Enjoy your Poinsettia Bundle Nan! Wow! Your cards are beautiful!!! I am liking that natural looking poinsettia more with each example I see. Yes, the Festive Poinsettia is stunning!Thank you for stopping by Debbie. Love the uncolored poinsettia! Just beautiful! Purple is my favorite color so the rejoice card would have to be my favorite. So pretty. I was looking forward to seeing your cards, and girl, you did not disappoint! WOW! I love the purple bow and the sparkly silver lining! I often am not sure how to use that sort of green (the parrot colour) so this inspires me, thank you! Love each one of these cards, Laura Jane! Such wonderful colors and designs. Thank you Karthikha. I adore the Holiday Bow too! Beautiful projects! I like how you used the same poinsettia stamp but achieved different looks! Wowza, what a bevy of beautiful cards. I love the poinsettias. beautiful variety of cards-and I love how you used some unique colors too! Gorgeous cards but the purple tones bow card is my favorite. Your cards are so unique and beautiful! I love the color choices! Such pretty cards. Love your unique designs!!! Your holiday cards are wonderful! Great cards! The water coloring on some of them is so fantastic! The Poinsettia for the first card especially is just so amazing! Beautiful cards! 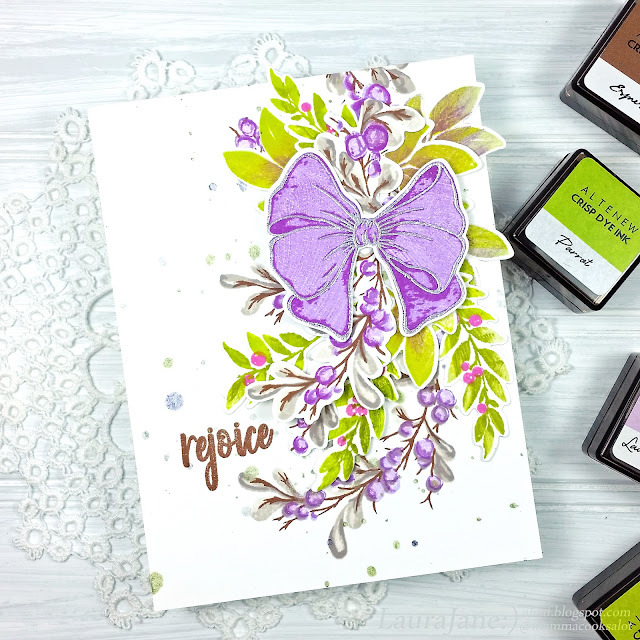 I love the purple rejoice card...that would be such a nice color combination for Easter! I love all of your cards but my favorite are the poinsettias! 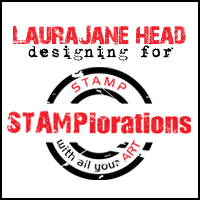 I love how you used the watercolor on the stamps! I am going to have to try that one! Thanks for all the inspiration! The inspiration cards are really, really gorgeous! I love the new release. 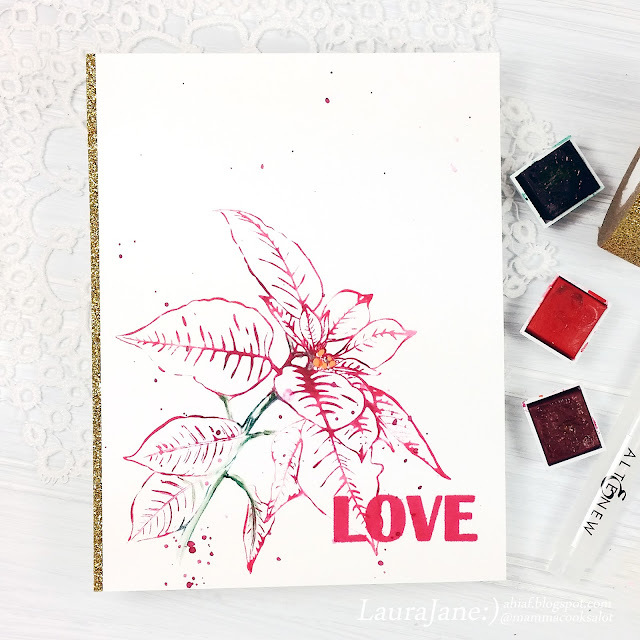 wonderful cards, LauraJane - loved watching you watercolor the poinsettias! I love the festive poinsettia! Nice water coloring. I am also taken with the pretty forest you created. Wow! So many amazing designs. I love your bow cards. They are so fun! Love the cuteness of your cards!!! These are really beautiful cards. Beautiful cards and you had a real assembly line going there. I love the Altenew 36 pan watercolor set! it has so many vibrant colors. The 36 pan watercolor set is amazing! I can't get over how rich the colors are! Lovely cards! The glitter tree is my favorite! I really enjoy your other ideas for non-Christmas type cards! Thanks for the inpspiration! I love all of these designs and color schemes. Great variety of cards to inspire us. They are terrific. 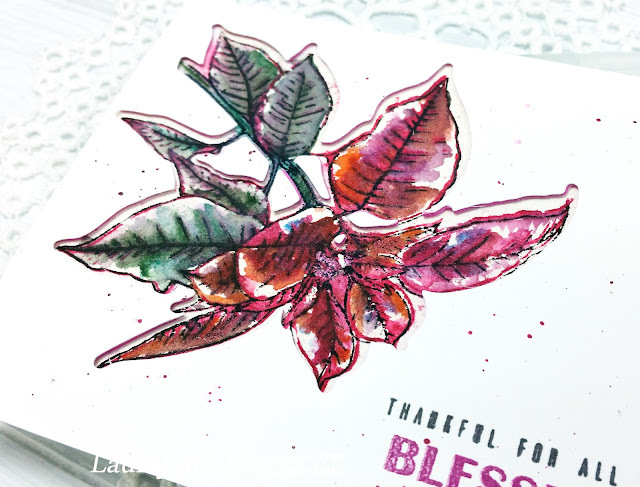 I love how you used the new watercolor paints like stamp pads to create your poinsettia cards. Thank for sharing your time and talent with us. 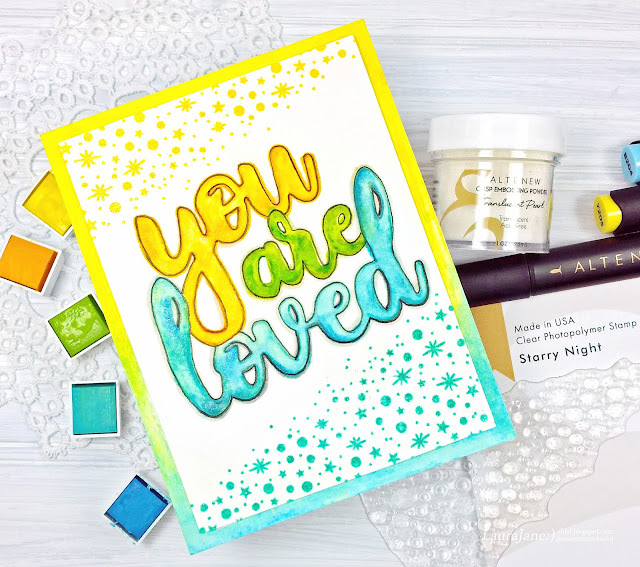 I love how you used the starry night stamp in the "you are loved" card. Such an unexpected place for that stamp and it looks wonderful. Beautiful job with the poinsettias, so many looks with one stamp set. I think my favorite is the purple bow and berries. Great job, TFS! Beautiful cards. I really love the different colors you use in the holly berry and bow card. so Lovely. Laura Jane, all the creativity & beauty! 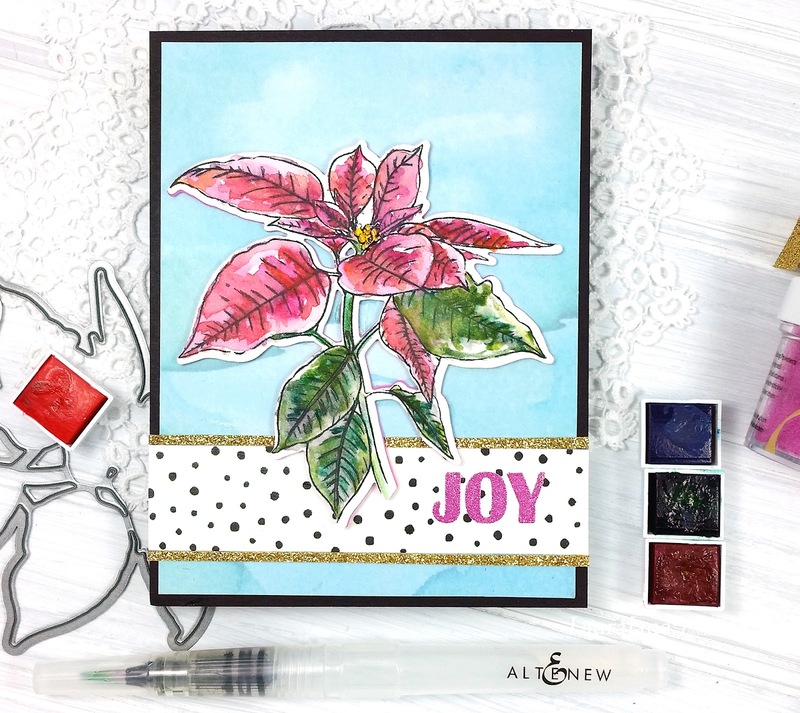 I love each card you've created, but am particularly "wowed" with the set back poinsettia. Oh my, it's gorgeous!! I also love the glitter you've used on the Evergreen Border die. Brilliant! 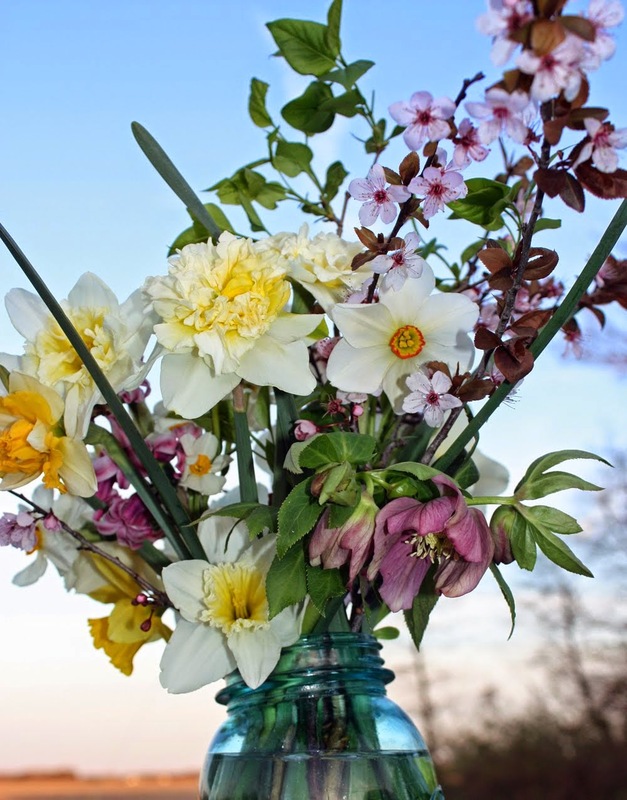 Wonderful variety in your collection! I really like the Starry Night stamps and tree border die. Love, love, love your cards!! The tree card is gorgeous!! Bravo!! Love, love, love the water coloured poinsettia cards. Thanks for sharing your talents. Wow, you've been busy! Love your variety. Great video! Loved seeing the water coloring! 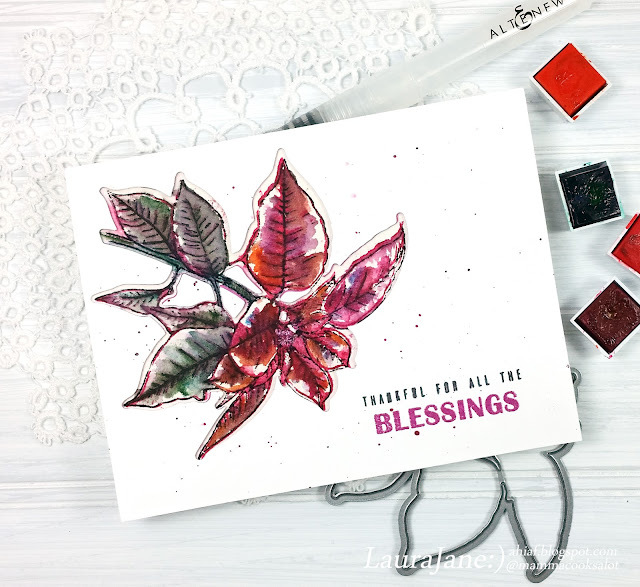 This is another wonderful release from Altenew with great variety, but I really love those Bountiful Branches and the Blessings stamp set. Your cards are gorgeous! Beautiful cards! Love the colors! I absolutely love the mix of the bountiful branches and the holiday bow! It was such a fun card to make....arranging all the branch die cut elements and then topping it with the bow! Love the poinsettia and the line of evergreens. Great release. Your creativity is beyond gorgeous, love the colors and designs! Holy cow! Every time I thought you were done, there was just more inspiration and creativity! While the more traditional Christmas cards are lovely, I really like how you branched out (pun not intended) into non-holiday designs. While I appreciate holiday stamps, I particularly enjoy them when I know I can use them year-round. Thanks for all of these amazing ideas. Such a beautiful cards. All of them are amazing. Thank you Nelya , I like them too! Poinsettias are some of my favorite flowers. Thanks for all the inspiration and ideas. These are so pretty! Love how different the same stamp can look. So many wonderful cards here! I really love all the different ways you used the poinsettia and that bow set is wonderful! Wonderful cards, I especially love the one that you just stamped the outline of the poinsettia. Such pretty cards! I especially love the poinsettia design! Beautiful cards. I love how many variations are shown the the poinsettia stamp. All of your cards look beautiful! I love the "loose" watercolor card even before you painted it! It looks so pretty with its beautiful sketched look! Your cards are lovely! I love the use of glitter tape and I think the Winter card is stunning! Fabulous variety of cards you created! My favorite is the poinsettia! Can’t wait to create my own. especially luv the outline effect of your "Love" card!! Wowzer!! You sure were busy with all these beautiful cards!! My fave is the one with the bow and swags!! Such fabulous cards! I love your showcase of this release, especially for non-holiday projects - love the welcome baby and you are loved cards! 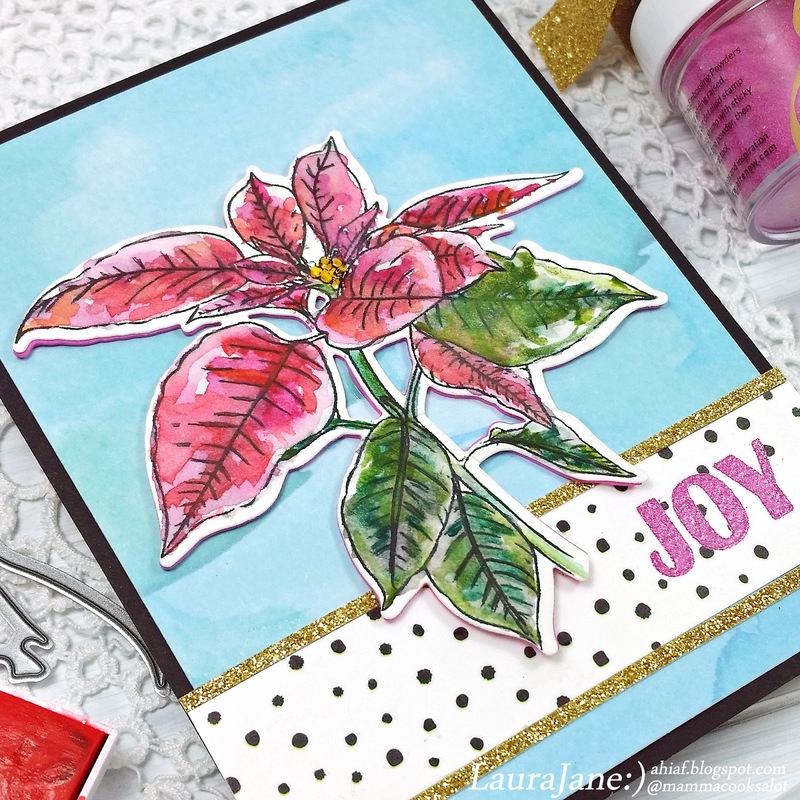 Amazing cards, your watercolored poinsettias are wonderful! Amazing projects Laura!Absolutely fabulous release! Love the cover plate and poinsettia! Your one layer wonders are fabulous! !Thanks for the inspiration! Wow, you knocked it out of the park once again! AMAZING collection of cards. Wonderfully creative and fantastic inspiration. Such variety with your cards but the one that really blow me away is the branches card with the purple bow. Such wonderful cards -- a little of everything. This release is full of possibilities! This is such a great variety of designs. Love the berries and bow card...stunning! OMG Laura! You made SO many gorgeous cards, and for various reasons. But the card usin my favorite of this release, Bountiful Branch and the purple is by far my favorite of them all! Purple being my favorite color, well I have to make some similar! Thanks for sharing your wonderful talent with us all. Hi Laura, What a post today, WOW!!! You made so many AWESOME cards, they are all beautiful, I really loved them!! The one with the purple bow on it might be my favorite, it was just so adorable and beautiful I just really adored it. Thanks for a great post! Wow Laura! You've been a busy lady! What artful cards! I am sooooo glad you didn't ask us to choose a favorite because I'd come up with too many! I really like them ALL :) Thanks for sharing soooooo much inspiration with us! Everything you have shared with us is simply wonderful. You’re creativity is amazing. Thanks for sharing with us. What a magnificent collection of cards! The poinsettias are simply gorgeous! Thank you. Just shows the versatility of these new releases on how we can make so many varied cards using one image like the poinsettia! Gorgeous cards as I love your work!! Your cards are so lovely! I love the look of the poinsettia stamped with the watercolors. Love your cards! 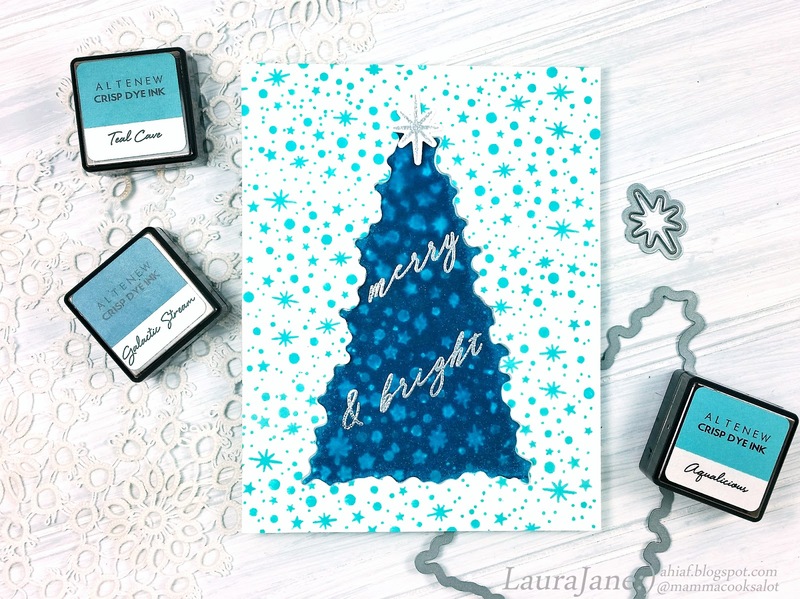 That Starry Night stamp with the Christmas Tree is stunning! Love your cards!! 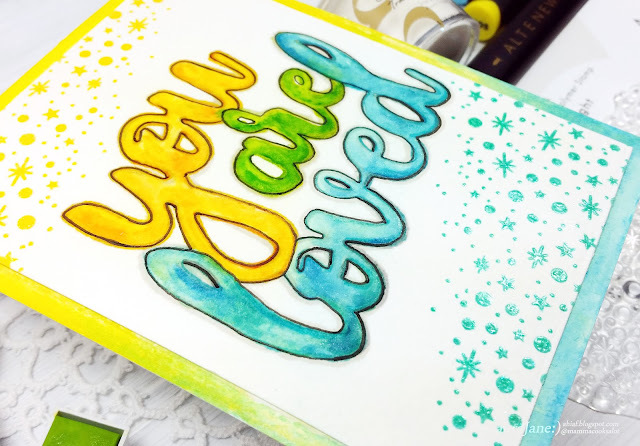 So colourful and bright and I love how you used holiday sets for nonholiday cards. So creative! Thanks for the inspiration! Love each and every one of them!! You are amazing! Thanks so much for entering your beautiful work in Altenew AECP assignment Gallery. Beautiful colors and design. Well done!